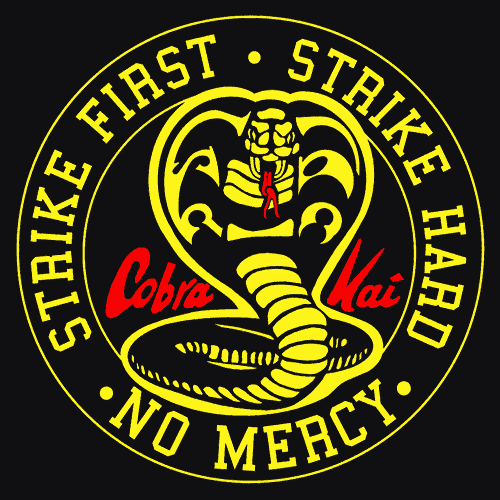 In this Cobra Kai Review, it is going to be the first impression. While the whole time building up to this sequel I thought it was just going to be a movie. Turns out it is a SERIES! Yes, that means I just got done binge-watching my first YouTube Red Series. Something I never thought I would do. Go back to the 80s, with some of the same cast from the original Karate Kid. Classic movie, some of that witty comedy. This show had it all. Everything blends together in the end perfectly. In my opinion, this is going to be the best story in the Karate Kid Universe now. Trying to remain spoiler free of the Cobra Kai Review but its really hard. Holding my attention the entire time of my binge watching, I could not keep my eyes off the screen. Daniel Larusso and his arch enemy meet back up again as the Cobra Kai Dojo has been resurrected from what Barney Stinson says is the REAL karate kid. Most noteworthy Daniel and Johnny, have a lot more in common than you would’ve thought. Overall I would give it a fantastic score! Go watch this now! Unfortunately, it is on youtube red… I know strange I never thought I would see the day that I would subscribe. This was a show that made me go ahead and sub! What are you waiting for? Go ahead and head over to youtube right now and maybe you can let us know your first impression in the comment section below! 4/5 if I was giving a score out. Click Here now to watch the show!